Our pal, Frank Montano is looking to you guys to help him get to DesignerCon this weekend. 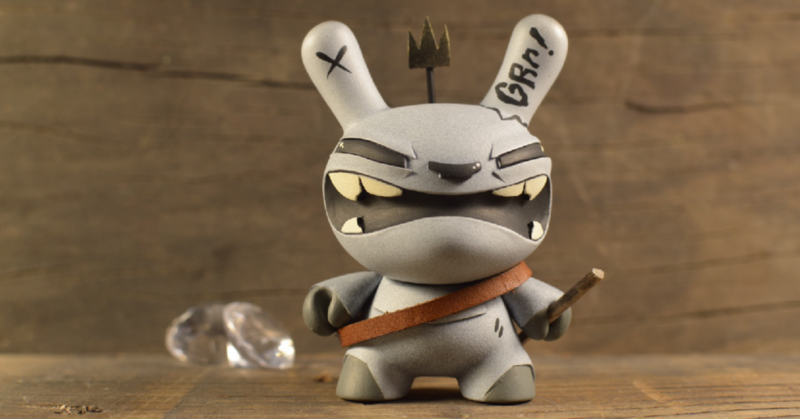 He’s about to launch his new BlizzardBeast Custom Dunny and if he sells out, he’s jumping on a plane to Anaheim in time for DCon this weekend! To do that though, he will need you guys to help him. Available from Wednesday 14th November at 9am PST (5pm GMT). Priced at $90 each. You’ll be able to purchase one HERE to support Frank’s journey to DCon 2018! Limited to a series of 15 and 5 ShadowWalker Chase figures. Out on his trek to FeastCorp. The city is covered with DiamondTroopers and there machines. What is going on?? They are terrorizers of the peace. If Blizz discovers what this corporations mission is will he stand up or stand back? It’s a fight for survival. This is a journey that may change the fate of the beast colony.